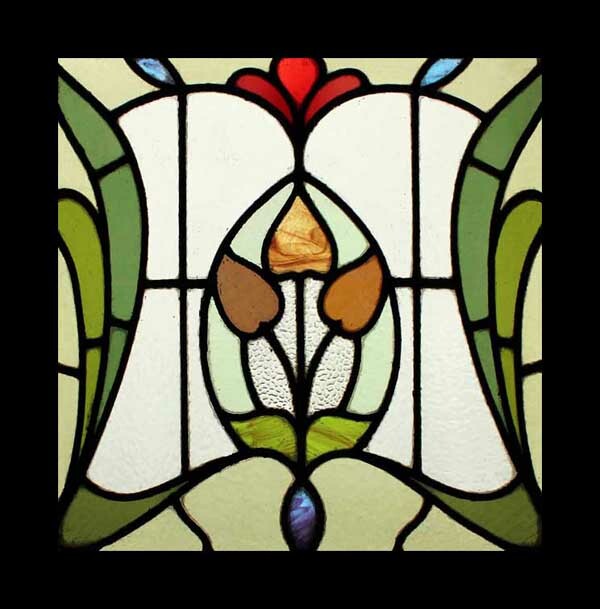 This Beautiful FLORAL ART NOUVEAU window is still in the original frame. Consequently glass as beautiful as this may never be made again. This is a striking work of art to enhance any home. Removed from a property in LANCASHIRE from around the 1902 mark. VIBRANT REDS - BRONZE - GREEN - BLUE. GLASS 21 X 19 3/4 You can buy this now in your own currency by clicking on the credit card icons (Paypal if you prefer) below the photograph or e-mail sales click here to arrange payment by personal check ,money order or bank transfer. Shipping includes full insurance.